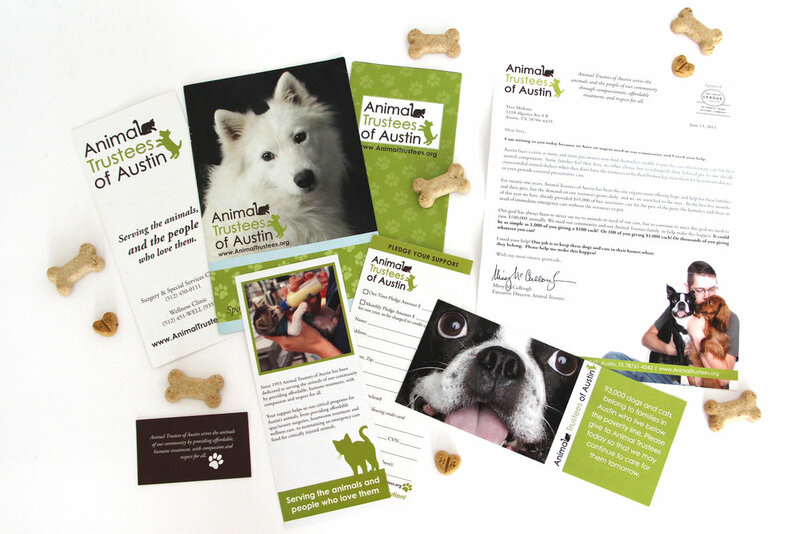 I started at Animal Trustees of Austin as a volunteer while I was in graduate school, working in their clinic checking out furry clients at the end of the day and providing some event support. I thought I had more to bring to the table, so my last year of school I joined their development office as the Marketing & Communications Intern. As luck would have it, their communications person left a few months after I graduated and I got to transition into a Specialist role. As a one-man marketing team I did it all. They were embarking on a rebrand right around the time I officially joined the staff, so I redesigned all of their donor and client facing materials and was on hand for their web redesign. I also created all of their advertising, served as the staff photographer, laid out e-mails, wrote and designed newsletters, managed the social media, updated the website, branded several annual fundraising events, and lent a hand anywhere else necessary. It was a big job, and a great introduction to all things marketing. While I created the materials for the whole organization, the bulk of my role was supporting Development. I did everything from the monthly direct mail and e-solicitations, to more evergreen pieces like pledge cards and brochures. I also created the quarterly newsletters, and annual impact statements. 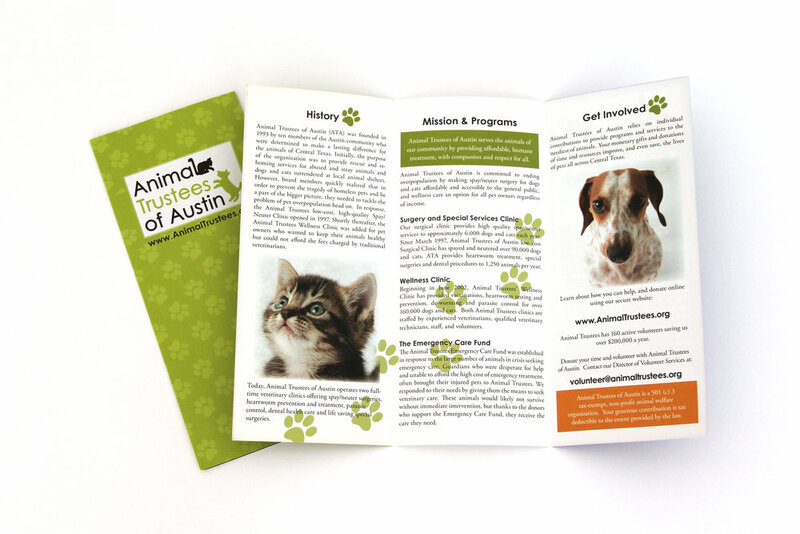 I wrote the copy and laid out the digital and print ads for Animal Trustees' campaign that ran from 2011-2012. 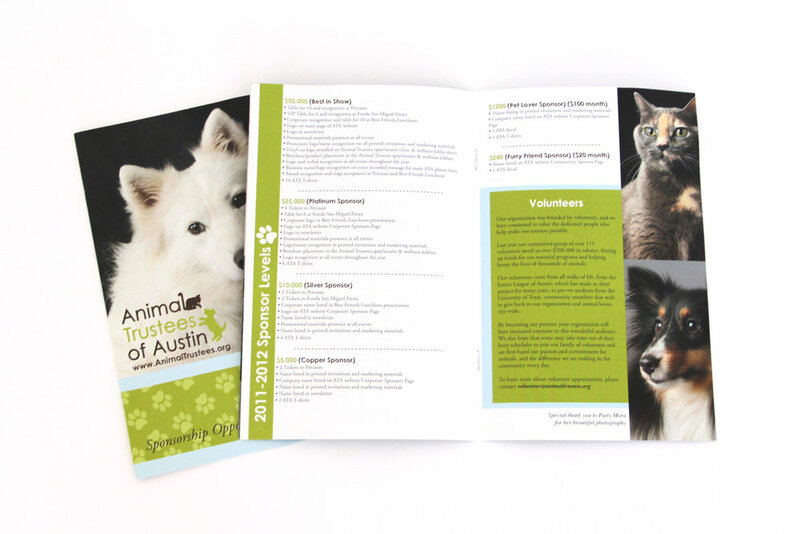 Each month featured a different service provided by Animal Trustees, few of my favorites featured here.